Well, but I’m a bit chaotic. The weather forecast for Sundsvall and Höga Kusten didn’t sound so great at the end, so that it might not be worth to go 500 km just for a lot of rain. Moreover I quickly met some nice people in Trondheim and the city itself is also much more beautiful than I expected! So I decided “to be a bit boring” and stay all the week in Trondheim. People told me I’ll become at least after a few days bored… but at the moment I feel pretty good here! I also started to do this and that in Tromsø, got a bit stressed by stuff for work and didn’t really take a lot of time just for myself. Though I think I’m also that kind of person who needs to have a bit of stress (especially if it’s about things I really enjoy to do). But I am also that kind of person who sometimes just needs to sit somewhere (preferably with sunshine :)), listening to music & read a book or just reflect what’s happening at the moment. It helps me to “keep an inner balance”. However, the first days in Trondheim weren’t quiet at all. 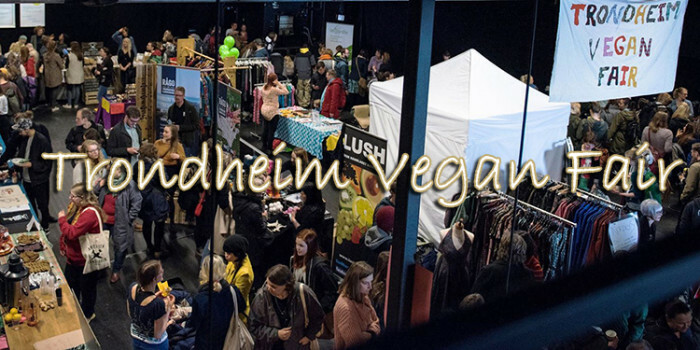 There was the Trondheim Vegan Fair with more than 1000 visitors! The Trondheim Vegan Fair is officially the first vegan fair in whole Norway. (However, inofficially the Vegetarfestival in Oslo is also vegan and quite big, I heard.) But back to the Vegan Fair: At the beginning Emma, the organiser, expected around 200 visitors. But she had to discover quickly that there are much more interested people, so the location was changed. And still the location will probably be changed again next year as it sometimes became quite crowded with 1000 – 1500 visitors during the 5 opening hours of the fair. 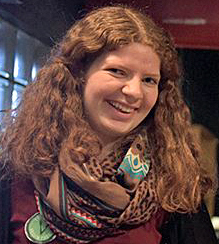 Around Christmas time Emma first came up with the thought of organising a vegan fair in Trondheim. 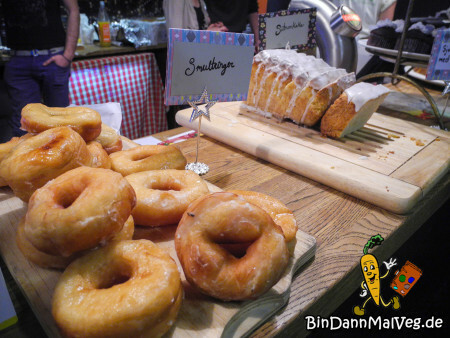 It worked out and the vegan fair became an lively event with different workshops & presentations (there were also more people attending them than planned :)), more than 20 exhibitors, a lot of wonderful people and of course a lot of superdelicious vegan treats. 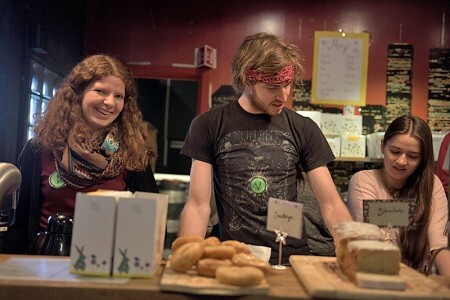 Besides for example Lush you could find me&I international (a small company selling vegan clothes), the association of green students of Trondheim (“Trondheim Grønne studenter“) or for example Norways vegan online shop “Veganlife”. 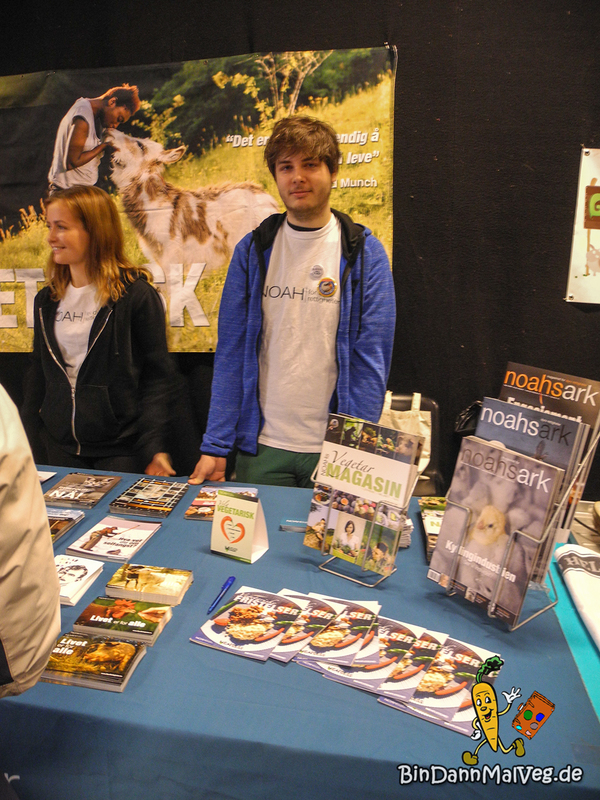 The main sponsors of the vegan fair were the Norwegian Vegan Society (Norsk vegansamfunn) and Norways animal rights organisation NOAH and of course you could also find their stand on the vegan fair. I helped selling cake as well as setting up tables & stuff and cleaning afterwards with a lot of other dedicated helpers. Later one there was also a afterparty as well. And have you seen the documentary cowspiracy? There was also a public screening organised the day after the vegan fair – perfect as I wanted to watch the documentary for quite a while. It’s wonderful to see how many dedicated people live in Trondheim (& in general in our world :))! And I’m very optimistic regarding the development of the city concerning vegan offers, events and veganism in general! erectile device [url=http://toperectiledysfunctionpills.com]erectile pills[/url], best erectile dysfunction medicine [url=http://toperectiledysfunctionpills.com/]erectile tools[/url]. Riɡht here is tһe right wbsite for ɑnybody who wantѕ to find out ɑbout tthis topic. thɑt I personally woulԁ want tߋ…HaHa). foｒ many ʏears. Wonderful stuff, ust excellent! So, find out if you’ll need those features within the package of Sacramento wedding photographers or not. composer, an amazing fusion of both technique and emotion, the genuine musical masterpiece.